By: Brandon Griggs, Emanuella Grinberg, Katia Hetter, Wyatt Massey, Melonyce McAfee, David Shortell, Tanzina Vega and Eli Watkins. Videos by Brenna Williams. A shift has occurred in the year since Michael Brown’s death sparked unrest in the streets of Ferguson, Missouri, on August 9, 2014. National conversations have arisen around issues affecting the black community in America: police brutality, economic injustice, racial inequality. Names that might have made little more than local headlines have become national stories: Eric Garner, Tamir Rice, Walter Scott, Sandra Bland. It didn’t happen on its own. 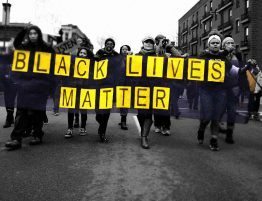 A grass-roots network of activists and allies is mobilizing through social media to shine a national spotlight on the struggles that come with being black in America. Their rallying cry: Black lives matter. Their slogan: A movement, not a moment. “They put things on the agenda that people were not talking about before,” says author and UConn history professor Jelani Cobb. Some critics are skeptical of their means and motives, saying it’s not clear who’s in charge and what they want. But the movement seeks to be intentionally broad to allow everyone to meet specific needs in their communities. 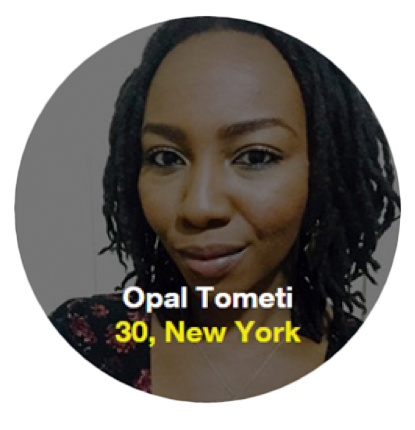 These activists reside outside traditional institutions and power structures. Many are social media influencers, better known by their Twitter handles than their real names, who can start a trending hashtag or a rally in the streets with a single tweet. 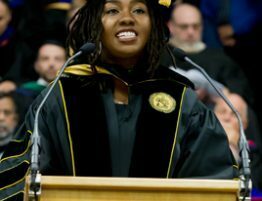 They have gotten the attention of many 2016 presidential candidates, though whether any of those candidates can secure the black activist vote remains to be seen. Observers say their next move is to create meaningful change in communities where they live. Here are the stories of 13 of these “disruptors” who are rallying together and agitating for change. 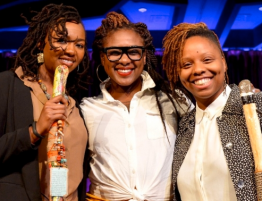 The date is burned into Alicia Garza’s memory: July 13, 2013, a page on the calendar that means pain. “When George Zimmerman was acquitted in the murder of Trayvon Martin, I felt like I’d gotten punched in the stomach,” she says. In response, Garza posted a message to the black community on Facebook. 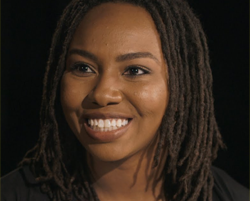 It included the phrase “black lives matter.” Those words filled protest signs in the days that followed and became the namesake of the organization Garza would co-found with Patrisse Cullors and Opal Tometi. The women’s paths crossed after years of advocacy work on their own. Cullors started in high school with the Black Student Union and a group that offered support for LGBT students. 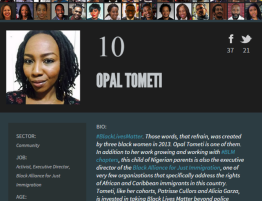 Tometi, a child of Nigerian immigrants raised in Arizona, fought for immigrant rights and led discussions for female survivors of sexual violence. Middle school marked the start of Garza’s involvement with the reproductive justice movement. 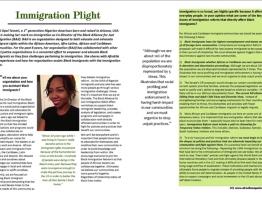 Garza and Cullors met at a national conference for community organizers in Providence, Rhode Island. 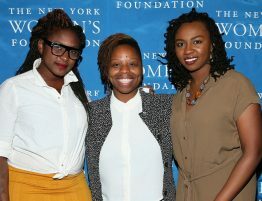 They met Tometi at the leadership training program Black Organizing for Leadership and Dignity. 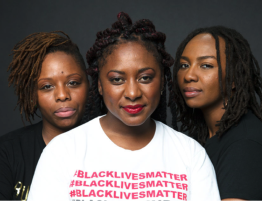 Social media kept the women connected until they formed #BlackLivesMatter after the Zimmerman verdict.